HOUSTON (KTRK) -- With many homes flooding last week after the heavy rains, some homeowners unfortunately lost some irreplaceable items. If you were fortunate enough not to lose anything, you can take measures now to protect your keepsakes, before another devastating event occurs. Houston resident Midge Whitson has collected a lifetime of memories. She has documents and photographs dating back to the late 1800's belonging to her family. "These are mementos not only of my life, but the life of my parents and grandparents," Whitson said. "There are 24 grandchildren and there are 40 great grandchildren. And they all ask me questions about all the family that came before me." In order to preserve her precious memories, everything is being digitally archived. She has hired the mobile digital archivist company Doorstep Digital that specializes in preservation. "It's important that these documents are preserved because if they're not digitally preserved in the cloud and they encounter a flood, a fire or theft incident, these documents could be lost," said Jack Perry with Doorstep Digital. The service caters to clients who want to back up their important documents forever. But if you have some time on your hands, it's something you can tackle at home. To get started, you'll want to sort your documents. "Just make a detailed inventory, a document of everything you have. It's not only good for organizing, but also good for insurance," Perry said. Once an inventory is created, you're ready to digitally archive everything. All you need is a computer, and a good scanner. "You want to scan at 300, 600 dpi. You could go higher, but those are good ranges," Perry said. For extremely delicate photographs, use white linen gloves to protect them from the oils in your hands. When you're ready, simply scan everything into your computer and organize accordingly. The best advice is to create a series of dated folders in chronological order, and make sub folders for photos, videos, and various documents. Once everything is on your hard drive, Perry recommends backing up your files in multiple locations. "We hand the clients a USB stick that has all of their priceless documents, photos, artwork, videos on it. And we also help work with them at the computer to back it up in the Cloud," Perry said. This provides peace of mind knowing that history is preserved for generations to come. 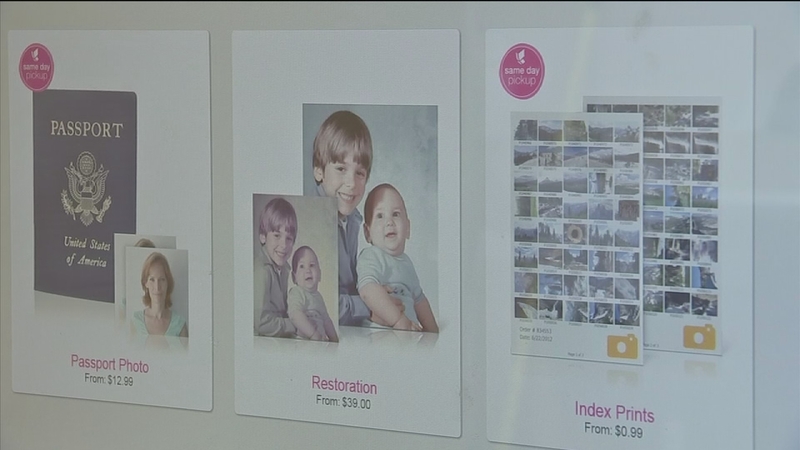 If your precious family photographs were damaged in the storm, there are affordable options to get them back to their original condition.